Do you know that log furniture brings so much memories of my childhood? Although the furniture made of bamboo today are more stylish than they were, I couldn’t help but remember my grandmother serving me with my favorite Tamarind stew and fried Goby while I’m sitting on our “papag” (bamboo bed). Our “papag” has so many uses, by the way. Like what I have said in my previous post on the same topic, my cousins and I would play on the bamboo bed and take our afternoon nap there. I’m not sure if many houses still own a bamboo bed these days. Contemporary bamboo beds are stylish and expensive compared to our lowly “papag” in the 70’s. 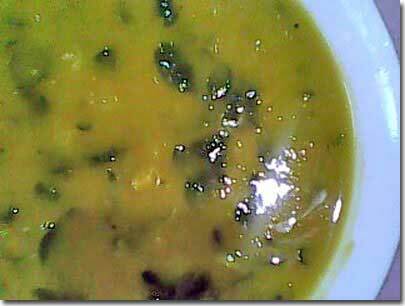 This entry was posted in Favorite Food and tagged Goby, Tamarind stew on January 22, 2011 by Yami. 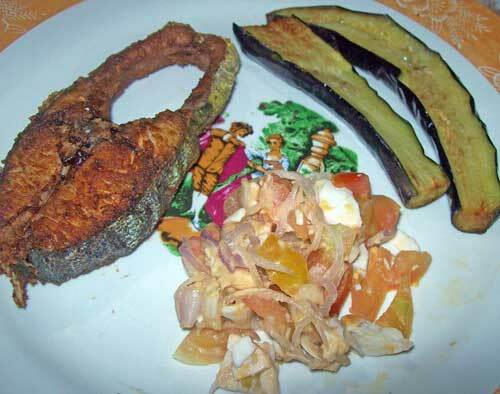 This entry was posted in Favorite Food, Food Trip Friday and tagged fried eggplant, Fried fish, tomato and salted egg salad on January 21, 2011 by Yami.